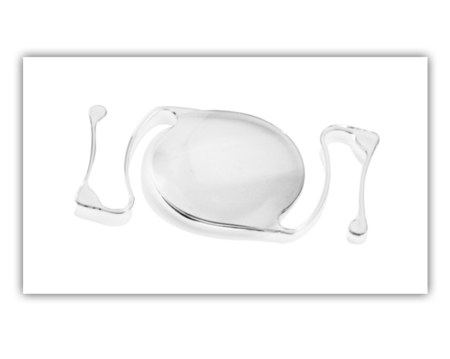 Eurocrystallens PMMA IOLs are available in a wide range of various designs to suit different surgical styles. We manufacture PMMA IOLs with medical-grade, FDA approved, UV PMMA on high precision lathes and mills for true Square Edge technology. 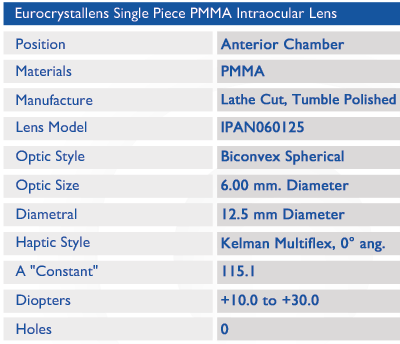 Posterior lens are made from quality PMMA (Poly Methyl Metha Acrylate) material. It is positioned behind the iris in the capsule. Implantation inside the capsular bag (first choice) or fix into the sulcus if the capsular bag is damaged.